Thank you so much if you contacted your State Senator and Assembly Representative about the extraordinary sessions bills. 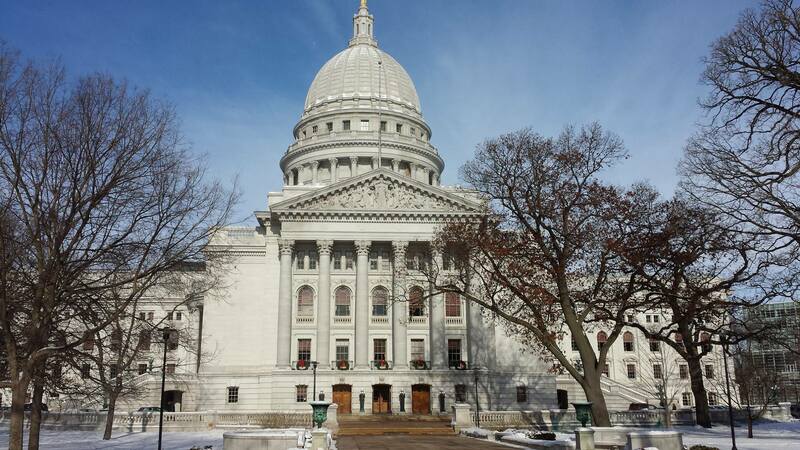 The League had two representatives present through much of yesterday’s hearing and Ingrid Rothe, LWVWI Legislative Chair, testified on behalf of LWVWI. We also know League members were present at the Capitol. Whether at the Capitol or contacting your elected officials by phone or email, thanks for adding your voices! The many calls and emails to legislative offices, along with testimony at the hearing, have made a difference. It appears likely that the proposal to add an additional spring election in 2020 will not move forward. Thanks for contributing to that effort. There is more to be done! The full Senate and Assembly will vote on many of the bills today. The League continues to oppose the hasty, secretive process used to create these bills. They should be taken up in regular session so that all interested stakeholders can provide input. Call your legislators and urge them to promote the right to vote by defeating this bill. One proposal would reduce the hours for "early voting” to a 2-week period prior to the election. Under a court order that struck down a restrictive voting law, municipalities currently have the flexibility to conduct "early voting" for a substantially longer period. The proposal being considered today would reduce the length of the early voting period and allow voting Monday through Saturday only. The rationale the authors of this legislation offer is that smaller municipalities do not have the capacity to offer longer in-person absentee voting hours. We support the current system under the court order, which allows clerks to select the hours that best serve their community. We would also support ways to assist small, resource-poor municipalities to provide more opportunities for their residents to vote. However, such solutions are not on the table today. Please consider immediate action as the Senate and Assembly will go into session today. Thank you.